What do successful businesses have that troubled businesses don’t? The answer is in these four key management techniques. No society in the world is better or more prolific at creating new businesses than the United States capitalistic system but often we are so busy commercializing ideas and starting new ventures that we don’t take the time to learn basic, successful management principles that have been developed by our larger companies. Many entrepreneurs are technical experts in what they do but start a business without any formal training or experience in management practices and principles. By “management” here we mean the business of successfully managing the non-technical side of the business, the “back room” activities. As a result of inadequate management, many small businesses fail in the early years. They fail not because of a weakness in the product or service concept they have, but because the business was not properly managed in the back office. But what do successful businesses have that troubled businesses don’t? Invariably they have a positive attitude towards their business and life in general. They are committed to their effort. Let’s go a littler deeper into what is meant by a Strategic Business Plan. Successful businesses operate within a planned framework. A Strategic Business Plan is written for a minimum of three years or two years beyond the current budget year. The plan describes the company’s mission to serve its customers. It analyzes its corporate and marketing strengths and how they will be exploited. It addresses its weaknesses and how they will be overcome. It identifies its target markets and pricing strategies and it identifies and describes strategic alliances or business partners that may be crucial to success during the planning period. The plan describes positions on any other issues seen as critical to the long term health or viability of the business. 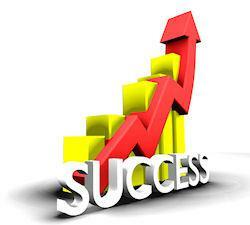 With a current and meaningful business plan the company stands its best chance of continued success and achievement. Without a viable business plan the company runs the risk best described in the old adage: “Failing to Plan is Planning to Fail”. Now let’s look a little deeper at what we mean by Organizational Structure. An Incentive Compensation System for all employees that rewards employees for performing above the standard or budget and does so by sharing a portion of the increased profits. Now let’s look a little deeper at what we mean by Operating Support Systems. The simplest type of system is a form, such as employment or credit applications, a product return authorization or a shipping release document. More involved examples of systems include cash forecasting and management, budgeting, variance reporting and incentive distributions. These more involved systems usually include some method of automated assistance such as a Microsoft Excel® worksheet or even more specialized software. Usually the most involved system for a small business is the Accounting System. This may be a relatively simple system such as QuickBooks® or Peachtree®. These canned systems are particularly good for non-manufacturing businesses that simply buy and resell items. Also, they manage customers, vendors, accounts receivable and accounts payable very well. Finally, they have the capability of generating excellent managerial reports. No matter what the type of business, some type of accounting software package that can capture daily transactions in a real-time environment and be easily operated by in-house personnel is needed. In today’s fast paced business world, relying on an accountant to provide periodic statements of company performance several weeks or even months after the fact is not an acceptable strategy.